Mu shu is one of my favorite Chinese restaurant dishes, so I was thrilled when I discovered how easy it is to make at home. Having crepes and cooked shrimp on-hand make it truly fast food. Heat 1 tablespoon oil in a large skillet over high heat. Add broccoli and a pinch of salt and stir-fry for 3-4 minutes, until slightly charred. Pour 1/4 cup water into pan and cover. Cook for another 3 minutes, until broccoli is tender. Uncover and let any remaining liquid burn off. Add garlic and toss well to coat broccoli. Cook for 30-60 seconds, until garlic is fragrant. Scoop broccoli into a large bowl. Add remaining 1 tablespoon oil to the pan and swirl to coat. Add carrot and onions and stir-fry 2 minutes. Stir in cabbage and cook 3-5 minutes, until wilted and slightly charred. 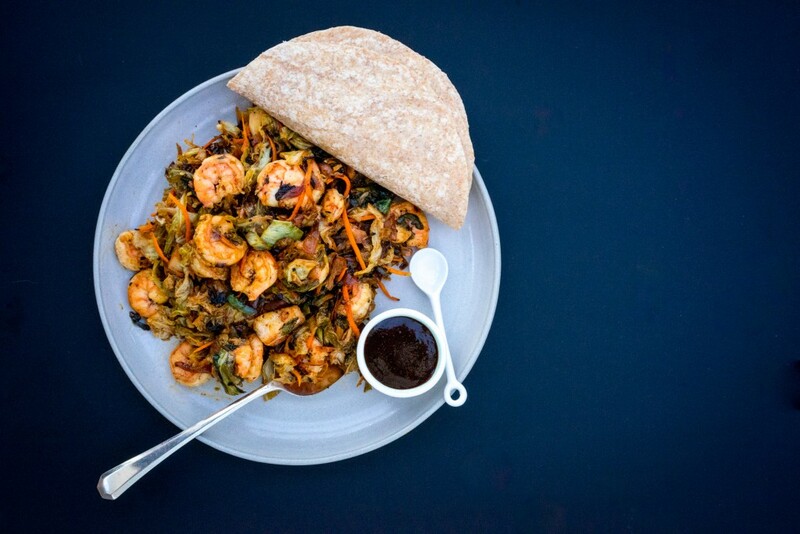 Toss shrimp and broccoli with cabbage mixture. Microwave crepes for 20 seconds on a plate covered with a clean dish towel. While cabbage is cooking, whisk together soy sauce, 1 tablespoon water, cornstarch and Sriracha in a small bowl. Stir soy sauce mixture into cabbage mixture with a pinch of salt and toss to coat. Serve with plum sauce and tortillas or crepes.